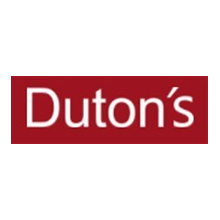 Established in 2014, Duton’s UK Ltd has spared no effort in expanding its overseas business since September 2014. During the Asian Art Week in November 2016, Appreciation of China – Exhibition of Chinese Legacy stunned people in London. This exhibition attracted art collectors from all over the world, where the displayed items received great appreciation and praise from international experts, with a number of valuable items being collected by buyers. In the event, Duton’s held a charity auction banquet in memory of Chinese labour, and contributed to the first memorial in the UK for Chinese labour in Britain during the World War I.
Duton’s has been applied itself to run the business of culture and arts in a scientific way to gain sustainable and healthy development for the group. With its integrity and enterprise culture, Duton’s has become an internationally reputed cultural enterprise that receives favour from collectors all over the world. In the past three exhibition and private sales held in London in 2016 and 2017, Duton’s has always been endeavoured to treated the collectors with its best cultural feasts. The achievements only represent the past, but our struggles indicate a better future. Duton’s will keep its pace and strive to thrive for hundreds of years.